OOC All though one guess is in the ballpark, no one has really gotten the answer close enough to say it's correct. Turbo had heard Vanellope's comment; it angered him greatly but he didn't reply as he was trying to catch up with the case. But he was annoyed that she had shouted out that she was the rightful ruler of Sugar Rush; to him he was the rightful ruler, after all he had reprogrammed the game to be much better than what it had been before! And besides... Kings out rank Princesses! No one gathered around seemed to know what the tokens were; Turbo used this time to concentrate and figure out what his code was doing at the moment. From what he could tell with his limited access; his Turbo code was far more dominant at the moment as his emotions had brought forth his true form... his King Candy code was in a dormant state... he could not switch it back on no matter how hard he tried right now. "Code switches not working..." He mumbled. What was causing this glitching? Turbo wasn't keen on doing it... but he quickly checked on his Virus coding; it had always been unpredictable ever since being consumed by that Cy-Bug... but it seemed suppressed as usual. "Eheh... Cy-Bug form in check..." To the causal observer, Turbo just looked like he was staring intently, eyes wide, at a rock that happened to be in front of him at the time. Leading some to wonder... what was so fascinating about that rock? "Well everyone we can leave this scene. DFI staff will clean up what remains of Chandu....I never liked thet tiger anyway....I mean he isn't even Disney and gets a spot in TDS....just like that Shellie May that walks around. Anyway I just got a message that the "Race Trophy" has been delivered faster than usual. A celebration lunch has been set up in Vulcania....we can finally sit and eat. I will present the winnerhis award. Also I know my love Ursula is up there interviewing that guest. We should check in with her and see if there is any news." 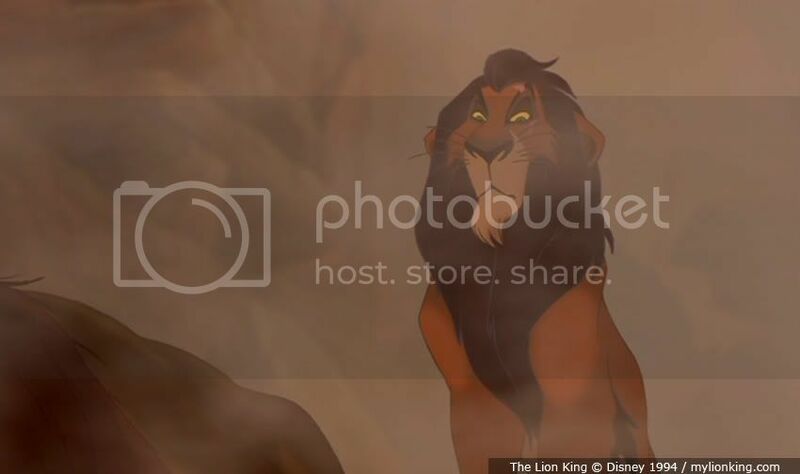 Scar's comment brought Turbo out of his 'trance-like checking of code state', and he finally stopped staring at the rock. They were going to find out who won the race! A celebration lunch and everything!? He just had to be the winner! Not to mention... finally some food; in Turbo form he did not have the candy supply. "Aha! Yes. Then lets go!" Turbo grinned; but he did make a note of how Scar had mentioned Chandu was not really a Disney character... what an interesting statement. He gave Scar a inquisitive look while writing something down, before going back to his car to drive to Vulcania. Did I do that right this time? Turbo parked his car outside the restaurant; he was trying to keep calm but he was desperate to know who had won... it just had to be him. He entered Vulcania and found it clear of guests... he frowned a little... he would of preferred there to be a crowd around him when he gets the trophy. His eyes then fixed on the trophy and he licked his teeth; but kept his cool. There would be plenty of time to brag when he wins! He smirked a little; remembering how he always used to almost push the other two racers in TurboTime off the podium when he won. Turbo went and sat down; he didn't say anything but had his head lowered slightly, observing the goings on from under the rim of his helmet. Diablo is at a loss to know what the shiny coins mean. Don't humans use those to buy things, usually? Could these be something the killer has dropped-- maybe a clue to where they had been? He just doesn't know enough about this place. With a whistling sigh, he flies along with the rest of the group toward the restaurant. Maybe a good meal will help him think. Alice wasn't the type of girl that would sit and have others have fun, so instead of watching the race (which she told herself she will watch a hopeful recording later in bed) after she had her adventure. So Alice stepped out, waved goodbye to the other detectives and went around asking guests if they had seen the man in the picture. Most shook their heads, others didn't even understand her! She wondered if the ipadX had a language translator...she was used to riddle talk but not another language all together! OOC: Life is super busy lol...hopefully I didn't die...ALSO are the coins (can we still guess?) used for an arcade of some type? Vanellope follows the others as they head for the restaurant. She still didn't know anything about the coins, or what they could've been used for, but she pushed that thought back for now. She was happy they were finally getting something to eat. It had been a busy day so far and Vanellope wanted to take a small break. She also didn't realize how hungry she really was. When Scar mentioned meeting up with Ursula and the guest, she wondered if Ursula had found out anything that could help with the investigation. She really hoped so. When they made it to the restaurant, Vanellope is a little shocked to see it empty. She probably should've expected that, since they were probably going to talk about the investigation so far. She could see Turbo eying the trophy, and rolled her eyes. She really hoped he didn't win. Vanellope glanced back at the group, and saw that Alice had made it back. At least nothing bad had happened to her. Vanellope waved at her, wondering where she could've been. Si and Am strolled into the restaurant and jumped on the nearest table while they waiting on the rest of the group to join them. They looked at the table and were happy to find a cream pitcher. They knocked it over and started drinking. It was hot inside the volcano and they has worked up quite a thirst. Turbo continued to sit at the table; he noticed Vanellope arrive at the restaurant, but he ignored her... he had to keep his anger under control and she would just infuriate him more. He also noticed the raven, Alice and Si and Am arrive too; the cats proceeded to knock over a pitcher, spilling the contents on the table. Turbo frowned; they were making HIS award dinner look messy! "Do you mind?" He scowled at them from across the table. "Show a little respect for the greatest racer in the world!" Turbo's ego was not suppressed at all; as King Candy it was perhaps a bit more under control (but not by much). Not one of these people had congratulated him on his EXCEPTIONAL driving skills in the race yet either! 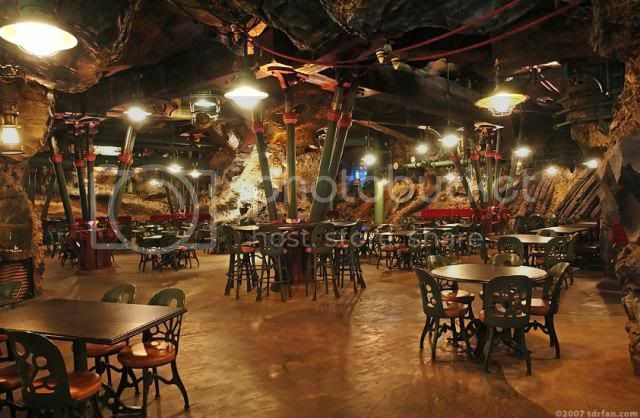 Diablo feels a bit comforted when he enters the restaurant-- it's made to look like the inside of a volcano, and it reminds him just a little of the inside of the Forbidden Mountain. The dim cavern walls almost feel like home. "I know a few of you have been more concerned about your silly race than you have been with this case. 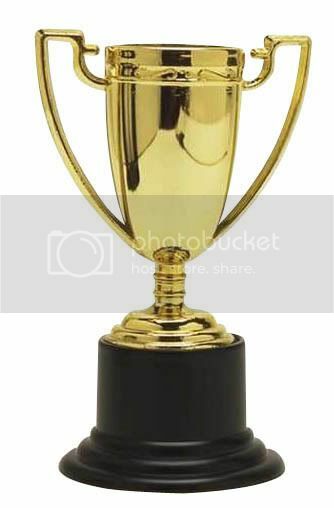 I know that you want to know who will win this trophy. BUT before I announce a winner we need to discuss the more serious problem of all these killings. I don't mind a death or two....I mean it's the Circle of Life afterall, but when the death is not for eating purposes then it is not needed. on top of that Ursula's freedom rest in our hands. 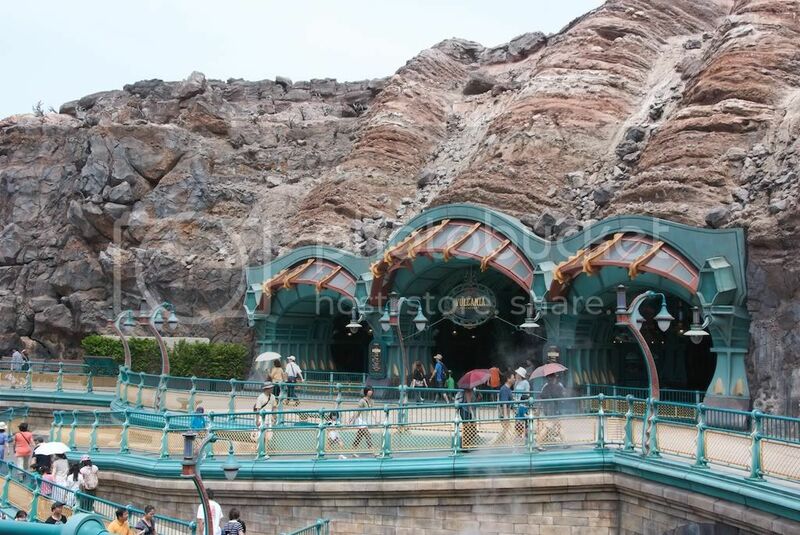 Tokyo Disney authority is growing impatient." "Now we don't have time to sit and order off a menu, so a meal has prepared for each of you based on your dietary needs. After we eat and talk ...then I will give this trophy to it's new owner...not before." OOC* The person who has died has already been notified so they shouldn't post until their death is revealed.....Also the trivia is still open, feel free to take a second guess. I will give it a little more time before I answer the trivia within the game. Turbo fumed; he was getting fed up of waiting for the results. But he didn't say anything about it as he was also interested in the case too. He was very intelligent after all, and wanted to solve it... this wasn't just bragging thoughts, Turbo was rather intelligent... after all he had taught himself code. The quicker they discussed the case, the quicker he'd know the results. "I find it odd that the killer is targeting both characters and guests... its either two killers or somehow the guests are connected to the characters. Aha! Where the murdered characters are concerned... they are targeting those they deem unfit to be in this particular park. There's still the issue of this... eheh... secret society that the note mentioned too!" Turbo stated as his food arrived; his plate was loaded up with various candy treats, arranged in a very effective and impressive way, fit for a King no less. He was quite happy with this and started to eat in a distinguished manner as if he was still in King Candy form. "Annnnnnd... lets not forget we can't jump to conclusions too fast..." Turbo smiled disturbingly. "... until we know more about the second murder..."
Although he doesn't entirely trust the candy king-- who seems to have transformed himself into a yellow-eyed person with a helmet (not that Diablo finds transformations alarming, as he's quite used to Mistress doing that)-- Diablo nods his head vigorously when the candy king says that the murder of both characters and guests is strange. Catching Scar's eye, he points a wing in the direction of the octopus lady where she was supposed to be questioning the other guest. Si and Am join the other detectives at the table after finishing their cream. The CM quickly serve them the freshest tuna sushi and rice wine. Si looks slyly at Am, while Am strolls over to the candy human. Am steps on the table on front of the bowl of candy. She looks directly at him and wonders out load "I wonder who won?". While the sugar human was distracted, Si dumped the entire bottle of rice wine in his dish. Hearing Scar's commanding voice, Vanellope glances up at him. The mist around makes him look even more menacing than he already does. After talking a bit about the investigation and telling everyone that their dishes will arrive shortly, he sits back down and looks over the detectives. Vanellope didn't really have much to say. She pulls out her notepad and looks over the clues one last time. Suddenly, she hears Turbo's voice, explaining what he thinks about it so far. She does agree with what he says, although a little disdainfully. The bird, Diablo, who was perched next to her, starts cawing and pointing at something. Vanellope turns in the direction he is pointing, wondering what he sees. Turbo blinked at Am, slightly curious as to why the cat was interested. "Well... me! Obviously!" He grinned, not noticing Si dump the wine in his food. Turbo continued to eat, noticing the candy did have an odd taste to it for some reason... but... it wasn't too bad... no. "Ohh... ummm... eheh..." The racer seemed to act a bit out of it all of a sudden as he continued to eat the now very alcoholic candy. "Sssscaarrr... I tink you *hic* need to tell... ehehehe... me the raaaccccceee... *hic* race... ressssultsssss..." Turbo slurred his words, beginning to get drunk as he continued to eat the candy, swaying slightly. "You know!" He suddenly said at random. "I could hack... *hic* any ssssystem... you need me to... Scaaaary Scar, *hic* I like candy! I'm... the King of Candy...!" He looked surprised for a moment. "What was in my food!? Ahhh! The King has been... *hic* drugged! Call Sour Bill!"